I don't know about anyone else who is about to go into their third year, or even their first year; but I am already looking for graduation dresses even though my graduation is a year away; a girl can dream though, and also browse. 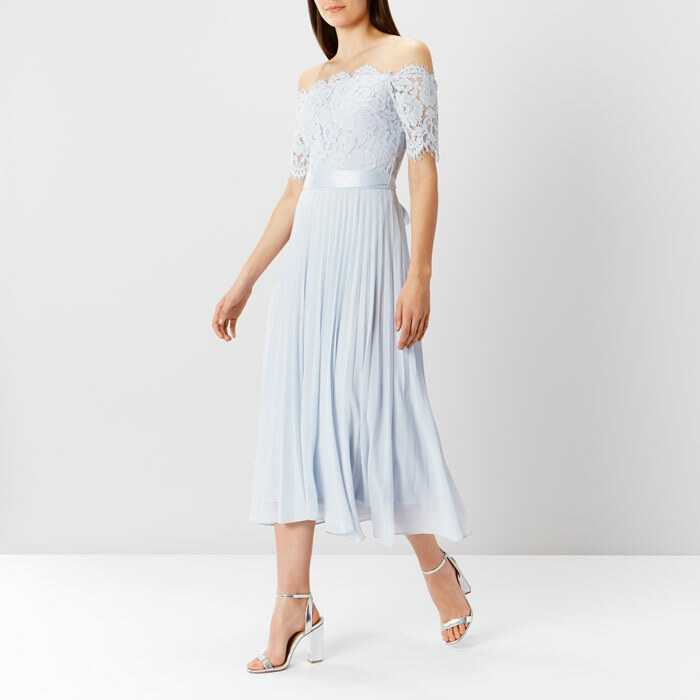 Coast have the most beautiful dresses currently in and I think this will be the place I go to for my graduation dress because they're just so damn beautiful; I've thoroughly enjoyed browsing their website for pretty dresses for the big day. I completely understand that these dresses have been made and designed for being a bridesmaid; but who said you can't use a certain dress for more than one occasion. I think they're perfect for a sophisticated but beautiful day when you graduate from your degree. I'd even use them on my wedding day to be quite honest! 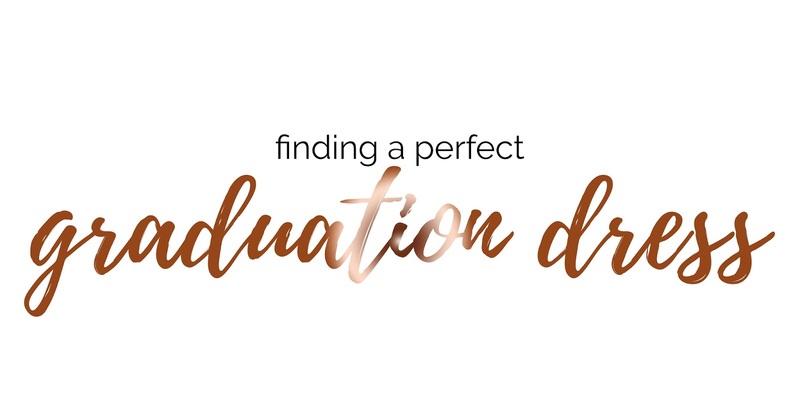 Below I have chosen three dresses which I think would be absolutely perfect for your very exciting graduation day; even if you're planning in advance like myself! Firstly is the Imi Lace dress which is an absolutely stunning silver/pale blue shade. I love this! Would it be acceptable to wear this every day for the rest of my life? I hope so. This dress includes a beautiful laced detailing on the top half of the dress; with flattering off the shoulder sleeves. Not only do you have the beautiful lace detailing, but you also have a pleated skirt on the bottom half; leaving you looking absolutely stunning. We then have the Brooke Midi Dress; another beautiful off the shoulder dress in a peachy shade; I think this looks absolutely stunning when you have a tan, but even if you're as pale as me like a ghost I think it would still look at stunning as it does on the model above. Although this dress doesn't include the pleats like the other dress, it does hang in all the right places! Last but not least is the Hermione Dress; so modern and chic all at the same time. Now my graduation is in October next year, so of course it will be Autumn. 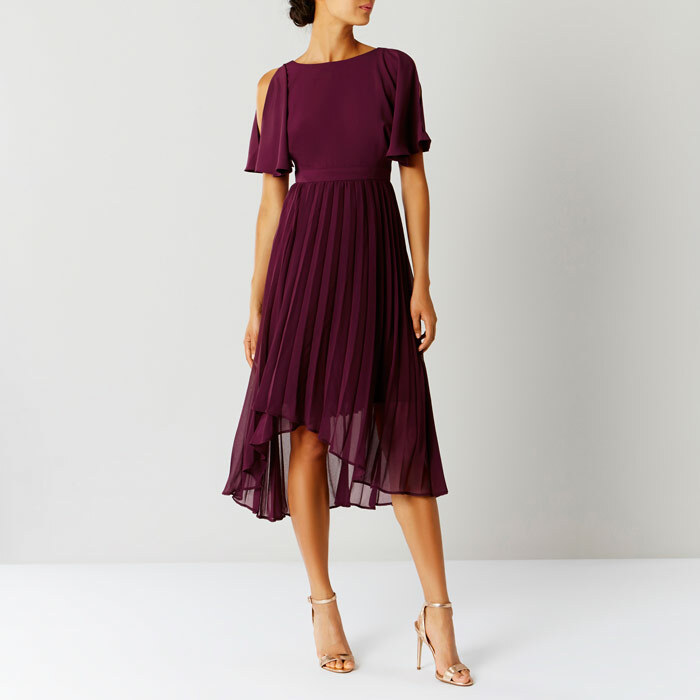 This is the perfect dress for an Autumn graduation with the in colour of Burgundy; my absolutely favourite shade to wear in Autumn. This dress features a beautiful cold shoulder detailing with the pleated skirt starting from your waist to give you a fresh, feminine look. What dress is your favourite out of the three from Coast? I think my favourite is the last one! This post is sponsored however all opinions are my own. Such wonderful picks, love the choices!